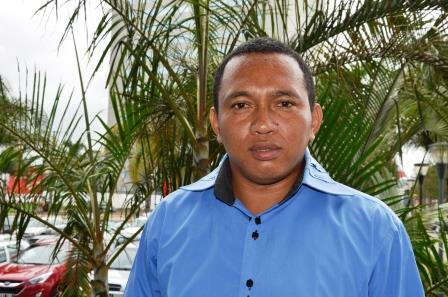 When Environmental Compliance Officer Tahina Masihelison started working for The PMI AIRS Project he was well-familiar with the importance of safely managing insecticides for the health of people and the environment. 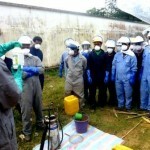 Having worked previously in disaster management and agribusiness he knew a lot about pesticides and the effects mismanagement can have, such as loss of income to a farmer or damage to the crops, which puts people and the environment at risk. 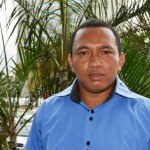 When he joined The PMI AIRS Project, he knew there would be many challenges but was eager to be involved. 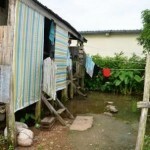 “Malaria can have disastrous effects, particularly in the countryside. In some areas, 50-60 percent of the children in the hospitals are affected by malaria, many of who die from the disease,” said Masihelison. Houses in flood-prone areas, such as this one in Brickaville, can often be found surrounded by water even weeks after a natural disaster. The PMI AIRS Project recently sprayed here, and the residents have reported seeing a significant drop in cases of malaria. 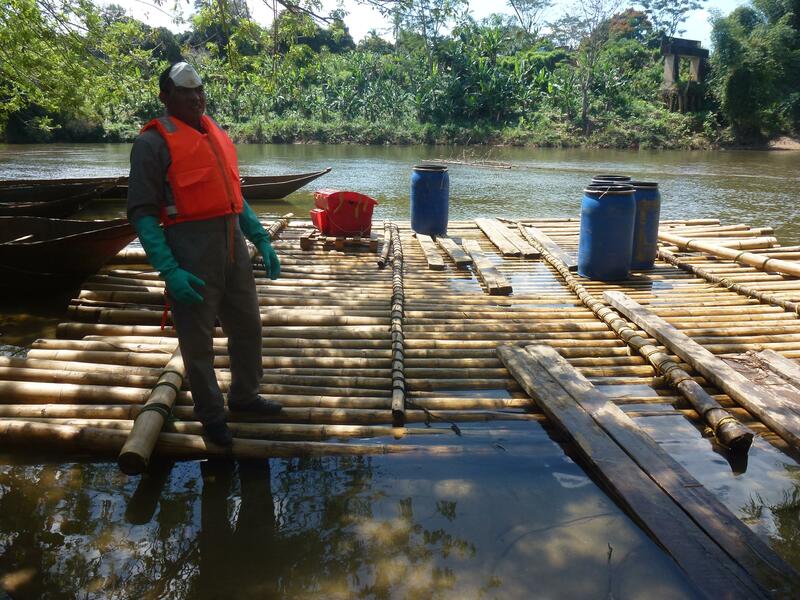 Although PMI has conducted indoor residual spraying (IRS) in Madagascar since 2008, 2014 was the first time The PMI AIRS Project sprayed in the East Coast districts of Brickaville, Toamasina, and Fenerive Est, which suffer from typhoons, frequent flooding, and malaria. But he adds that “The fight against malaria is not only about getting rid of the disease but also about the safety and environmental impact of doing so.” Masihelison explains that environmental safety and compliance are new concepts to people in Madagascar’s countryside. Whenever the project moves into new areas for spraying, it needs to ensure that materials are transported safely and used properly. “We have to prepare months ahead of operations to ensure safety. Preliminary studies are important, and to minimize risk, we need to learn the terrain,” he said. 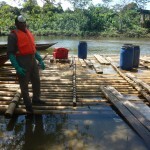 Preparing to move insecticide to communities on water requires months of planning. “There’s a lot to teach people involved in IRS about the environment and how to safely handle the insecticide,” he added. 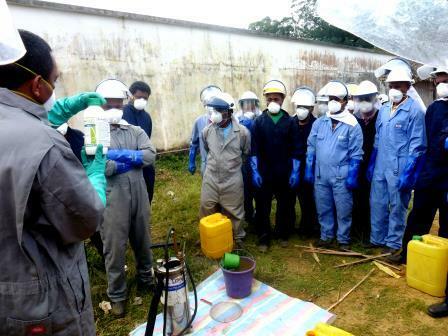 Masihelison teaches and supervises spray operators on proper use and handling of insecticides to ensure environmental compliance and safety. The new mobile soak pits, an innovation designed by the PMI AIRS Project, have helped to reduce risk to the environment and to the health of people as it means spray operators no longer have to travel long distances to wash their clothing and equipment after spraying. With the mobile soak pits, environmental compliance officers can be sure spray operators are correctly following the environmental procedures for washing.